Aalayam - Colors, Cuisines and Cultures Inspired! : Joie de vivre for a Happy New Year!! Joie de vivre for a Happy New Year!! Straight from the sunny beaches of San Juan, Puerto Rico, I want to wish my Aalayam family a vibrant, adventurous and sensory New Year 2013!! Want to know why I am aspiring for the New Year to be full of joie de vivre? Because, Puerto Rico is full of that! "Joy of Life". 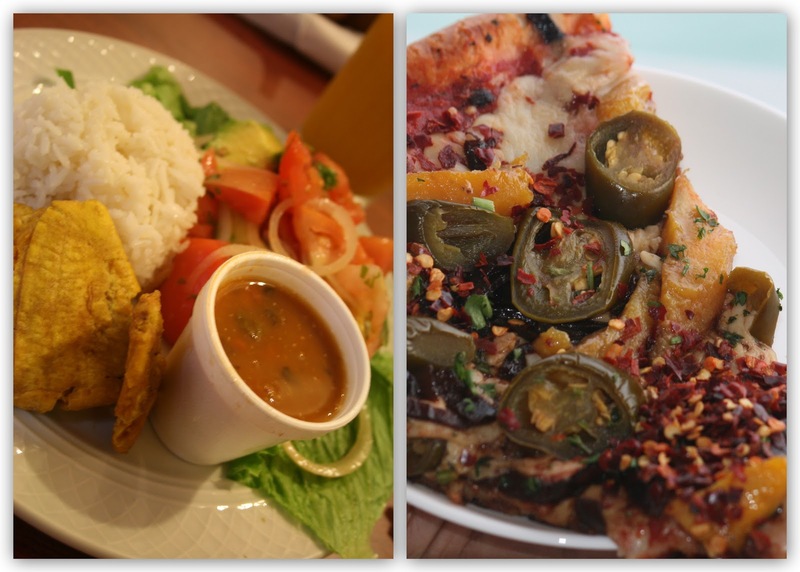 San Juan, Puerto Rico - Where Colors, Cuisines and Cultures UNITE! 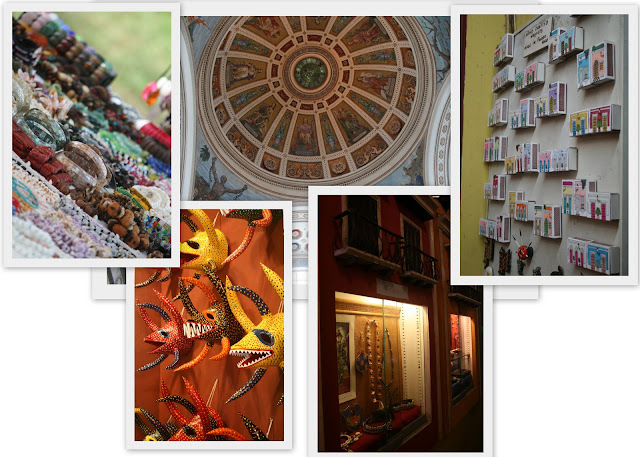 Shots from Old San Juan. Felipe Del Morro where history and the elements are juxtaposed in awe inspiring splendor. Puerto Rico is punctuated with talented, soulful artisans. Like Artesano Higuera Jose Luis Rodriguez. 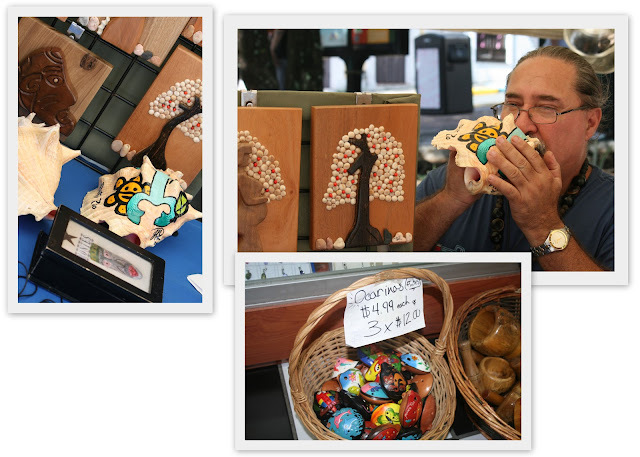 Jose specializes in Higuera art. 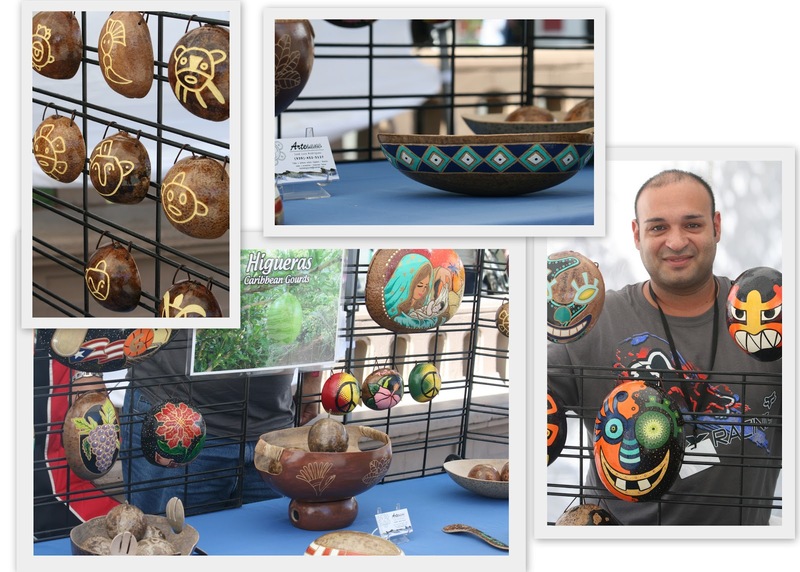 La Higuera is a type of fig whose outer shell is dried, tempered and then used as a medium for painting Puerto Rican mythology and designs. Jose was a gracious local who told us the history behind this art form, the significance of the paintings - Note the orange and black "Coqui" frog that Jose has painted. The coqui frog is the national animal of Puerto Rico, epynomous with the "co-kee" "co-kee" mating calls it makes in the carribean mangroves! Next Stop Lunch!! Mike's Maduros (read Sweet Plantain) Jalapeno Pizza and Cafe Al Punto's Stuffed Aguacate (Avocado) served with Couscous and Beans!! We then stopped by at Artesana Prila Repujado's store. "en Metal by Priscilla". 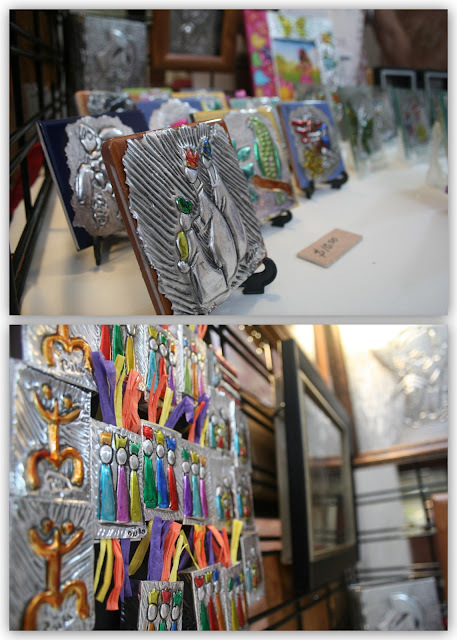 Metal art is famous in Puerto Rico with artisans depicting biblical and mythological scenes by engraving and painting on these great pieces. Fabulous decor and gifting ideas are they not? Then we met Gorge Montes, Artesano Okarina. Gorge specializes in hand-crafted okarinas, conch shells and wall art produced out of natural tree bark and higuera shells. 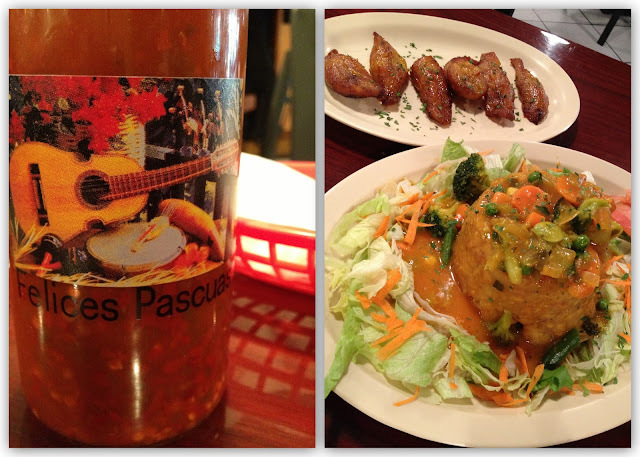 Restaurant "Jose Enrique" took our breath away with traditional Puerto Rican food served in style! 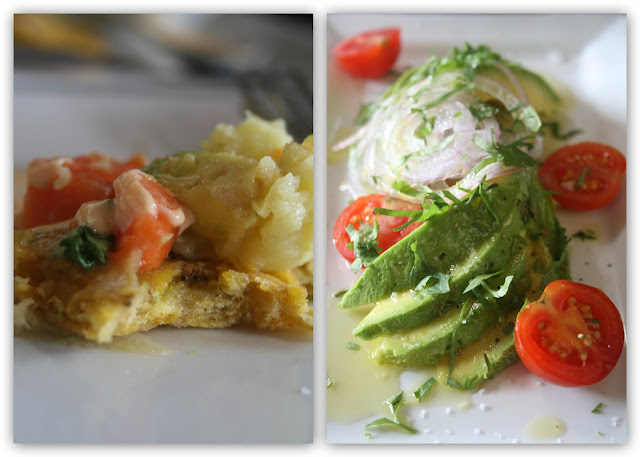 Check out the classic but gorgeous plating of the Aquacate (Avocado) salad (top right) served with a divine side of fried plantain and mashed sweet potatoes (top left). I did not want to stop eating..
We reveled in the street food, street art, music, dance and shopping of San Juan. Pictures could not do justice to the multi-hued grandeur. 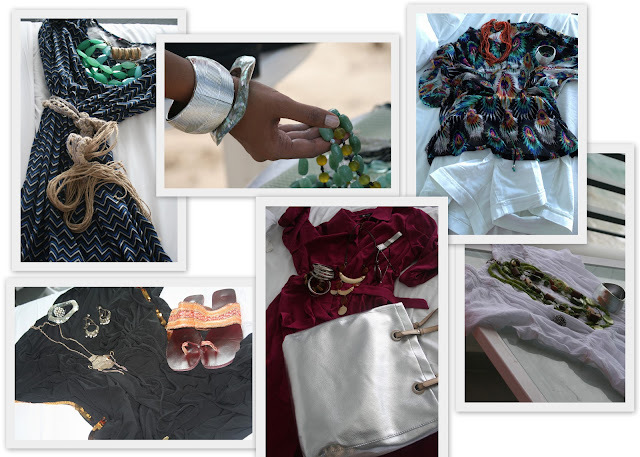 But, try I did, with my own rendition to Puerto Rico..my colorful wardrobe! Getting ready to embrace San Juan! 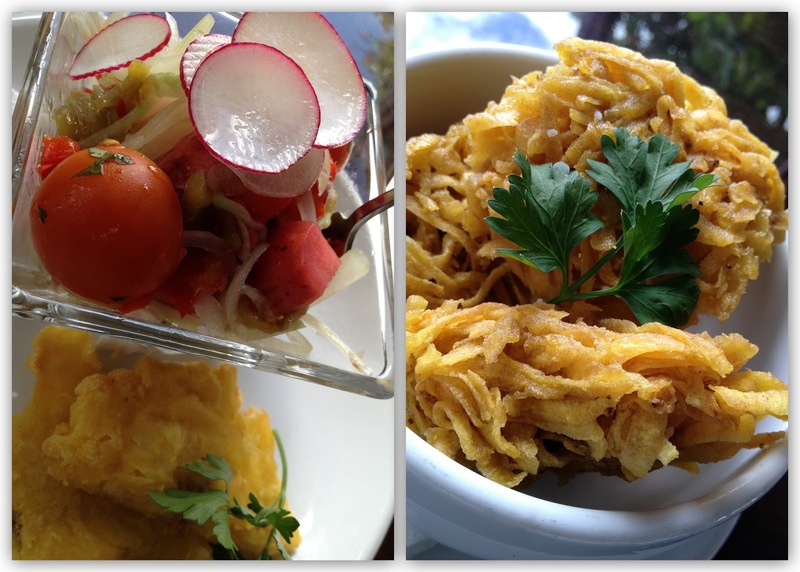 Our last meal in San Juan was Ceviche style verdura (vegetables) from Casa Lola and Creole style bannan pezze (crispy fried banana). A truly memorable meal which reinforced the diverse cultural influences of Puerto Rico. Many piquant landscapes of San Juan beckon me to go back there..to relive Puerto Rico's inspired spirit..to get revived and renewed! Time to try new things..like I did - Maneuvering my own kayak in the dark of the night at the Laguna Grande Bioluminiscent Bay..That was enough adventure to last one the whole year! So, here's to 2013, a chance to clean the slate and start anew. Full of promises to myself about doing things faster, better and thinner! As for Aalayam - Deepa and I are hard at work on big ideas to bring to our readers - new and old! So, hold on to your joie de vivre. 2013 IS HERE!! Is it not Patricia! Makes me want to go back!! San Juan was a truly inspired vacation. Thank you for visiting Aalayam!! And Thank you to all our readers who have left their valuable comments on my Facebook page! Thank you Sharon. 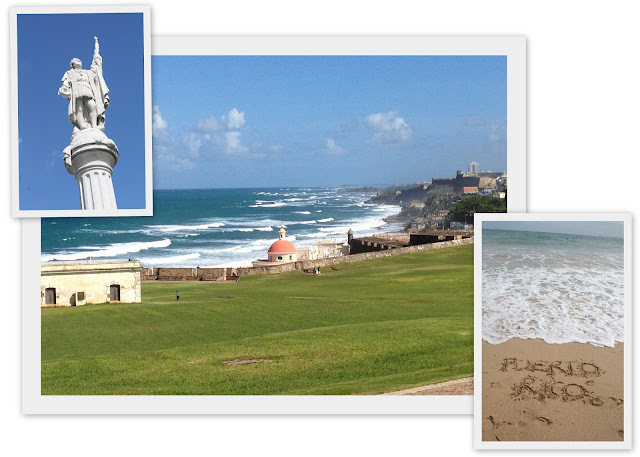 Puerto Rico has been a beautiful, indelible memory in my life. It was a true delight to my soul craving wanderlust. The food, the culture, the people, the warm weather..all together were a glorious combination of true holiday perfection. Cannot wait to go back there! I hope you visit sometime (in case you already have not enjoyed Puerto Rico!). The official slogan for Puerto Rico is "Puerto Rico does it better". And I believe it! Loved every minute of my vacation in San Juan. Your picture collection truly highlights the best of the city. It is a Good write up. I am curious, what camera did you use? Beautiful pictures. Thank you! Some clicks were from my beloved Canon SLR. Some from my husband's iphone! :) Thank you for stopping by. Hope you come back to this space again! !